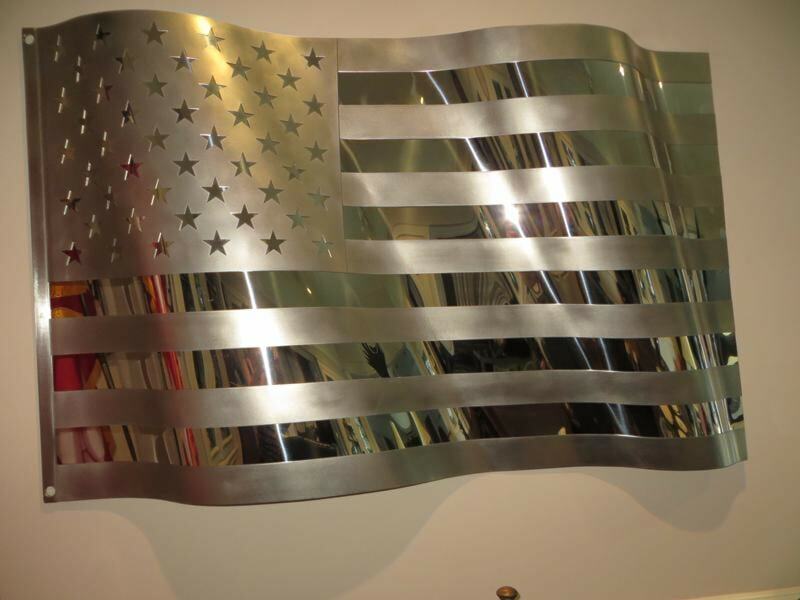 Waving Stainless Steel Flag Handcrafted in America. Available in two sizes. Three by Five foot is shown here. Also available as 24' x 40'. A full sheet of polished steelforms the back of the flag.. Strips of steel form the 13 stripes of the flag and the field of stars. Allow 4-6 weeks for delivery.